Fairfield Prep Goalie Will Steiner in action during boys soccer scrimage action against Fairfield Ludlowe in Fairfield, Conn. on Wednesday August 31, 2011. To put it bluntly, Fairfield Ludlowe boys soccer coach Kevin O'Hara was disappointed by his team's 2010 season. The team-- despite having 14 seniors-- finished just 4-7-5, with an unceremonious 6-0 defeat at Bristol Eastern in the first round of the Class L state playoffs. "Last year was frustrating," O'Hara said. "It was a disappointment." Despite a forced youth movement O'Hara is encouraged by what he's seen of his 2011 unit. He has four seniors, two of whom-- Mahmoud Kafel and Christian Barral-- will be the team's captains. Jordan Flipowich and Stuart Devotie are the team's other two seniors. Devotie will be the team's stopper on defense. Barral, Kafel and Flipowich will lead the squad's potent midfield. "We have four quality seniors," O'Hara said. "They learned from the mistakes of last year. They're motivating and helping the younger kids." Junior Mac Kindel will switch from outside back to sweeper this year, to help Devotie on the defensive line. O'Hara was surprised that his squad would have a position battle at goalkeeper. Charlie Kottler-- who saw time as a freshman-- has been challenged by the Falcons' 2010 junior varsity netminder Ryan Arrigio. "We've got some guys who are fighting for positions," O'Hara said. 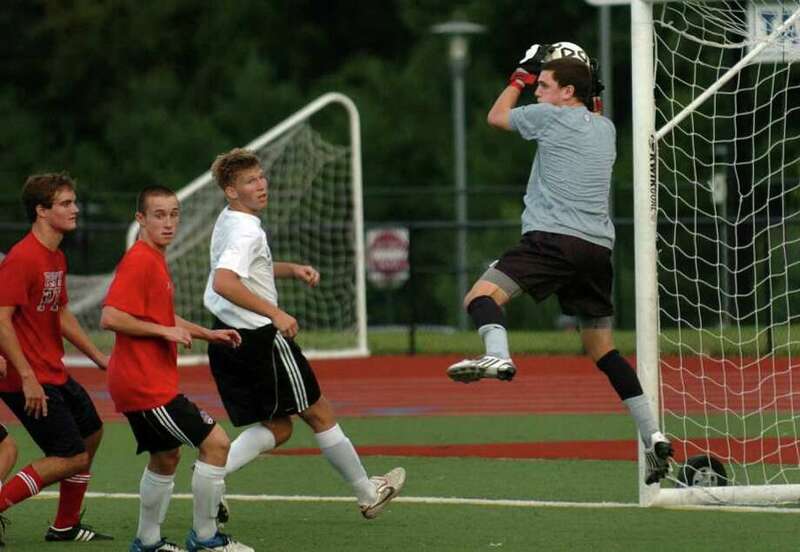 Ludlowe hopes to weather the storm that is the FCIAC in boys soccer this year and avoid any prolonged winless streaks. league and we're playing the big dogs." O'Hara has coached in the FCIAC long enough to realize the roller coaster ride is inevitable. "We're going to have our ups and our downs," the eighth-year coach said. "If we keep a level head, we'll be fine." If O'Hara's youth continues to progress, his goals-- making states and FCIACs and advancing as far in each as they can go-- are attainable. "We had about four or five concerns when the year started," O'Hara said. "But these kids have burst through and shown themselves. I've been pleasantly surprised."